In the first post of my brush lettering 101 series, I shared with you the best brush pens for lettering. 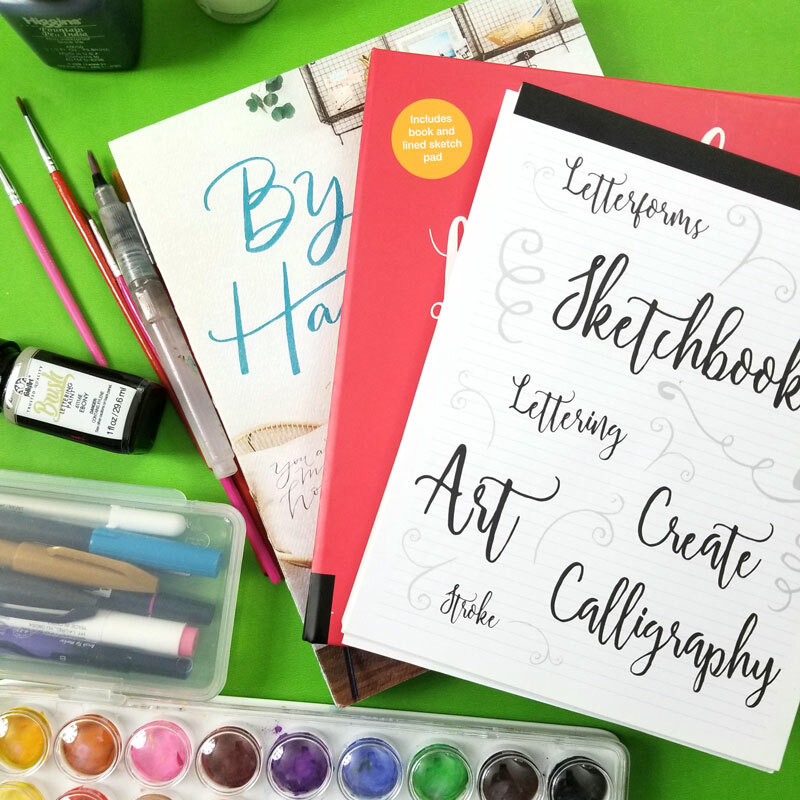 Now, I’m going to share with you some amazing brush lettering books for beginners, each of which I have tried myself. If you’d like, you can continue with my series and read my brush lettering tutorial here or download some free printable brush lettering practice sheets. Find the whole brush lettering series here. Disclosure: Some of these were sent to me by brands in the hopes of being included in this blog post. All opinions are my own. This post contains commissioned links. The answer to that is very simple: any craft book you open up will first explain the tools of the trade, so I do the same. I follow with books because I am NOT teaching an extensive course. My series of blog posts gives you the very basics you’ll need to do it as a hobby. But I want to start you off knowing that you’ll need more if you want to become a pro and do it more than casually. I also highly recommend having books handy because they make learning much easier when you’re actually doing it. Blog posts like mine can help you grasp the basics, but books will always be much more in-depth than I can possibly offer in a free blog post. Another point: books are typically written by masters in those fields. While I have mastered brush lettering enough to transfer over the basic knowledge, I am by far not a master. There is a huge difference between “mastering a craft” and “becoming a master at it”. My point here is to teach you brush lettering just enough so that you can use it to craft and to personalize things, to create a bullet journal, to make some holiday gift tags… But if you’ll want to do it on a higher level than that, check out these brush lettering books. Otherwise, stay tuned, I have a “basic techniques” post coming up. 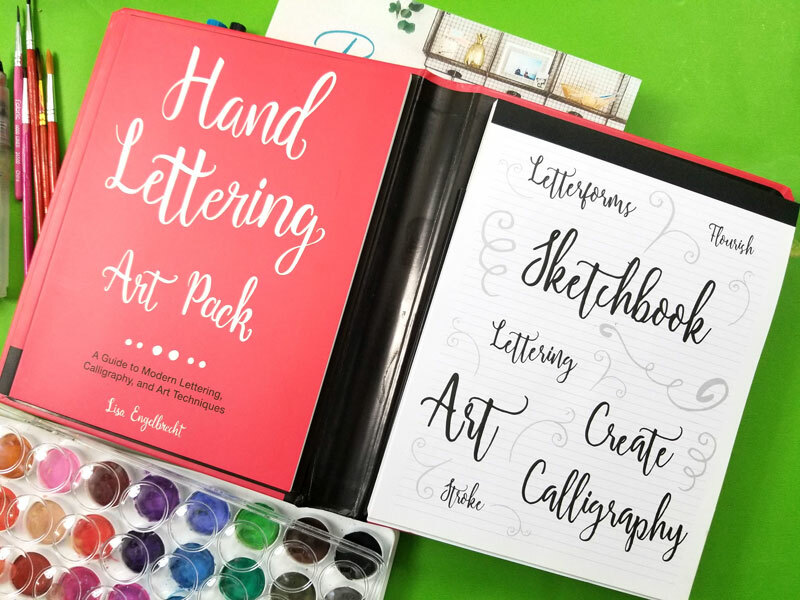 Learn the basics you need in these brush lettering books that teach in two unique styles. It’s taught by the founder of Kelly Creates, who has her own line of brush pens! I follow her closely on Instagram, and she’s a real pro. Her approach works with the typography principles – she really helps you learn about letter forms and proper use – including proper deviation from them. I love this approach, because one of the big mistakes I see some beginners make is losing legibility in exchange for some extra flair. This hurts the graphic designer in me. You need to know how to balance the two. Kelly teaches you a few alternatives, as well as shows you the basics of adding decorative touches. If you’re more of a doer than a learner and prefer a project-based approach rather than a scientific one, this book is the one for you. Of course, you WILL learn the basics of lettering from scratch, but at each stage you’ll get a project to create along with it. Nicole’s style is also more of a loose, open lettering style so it works great alongside the book above too. 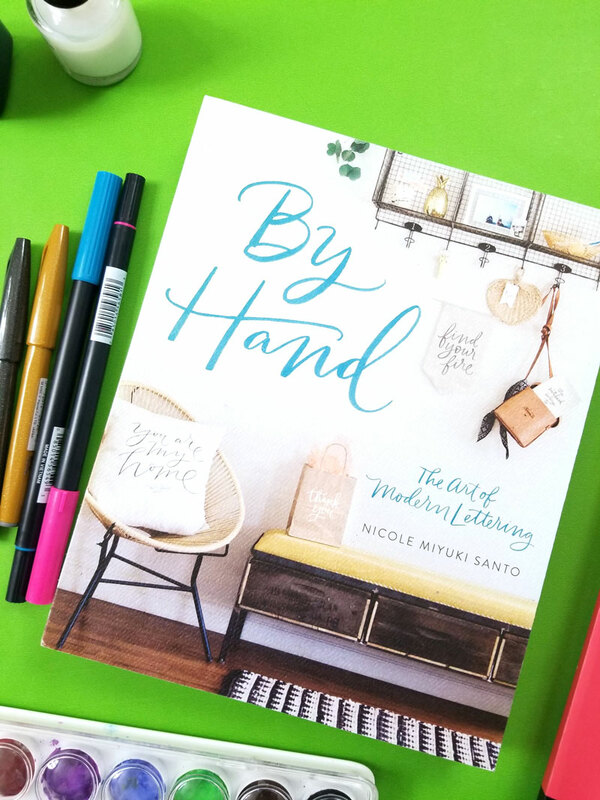 By Hand also teaches the basics of lettering with watercolors so if that’s on your radar, this may just be the right pick! She teaches how to make paper party accessories, gift bags, home decor, and more using your new brush lettering skills. While the books above do include some practice pages, you’ll need to place a sheet of vellum over them, or photocopy the pages, if you want to keep your book fresh. I also like the brush lettering books below specifically for practicing for their own unique reasons. 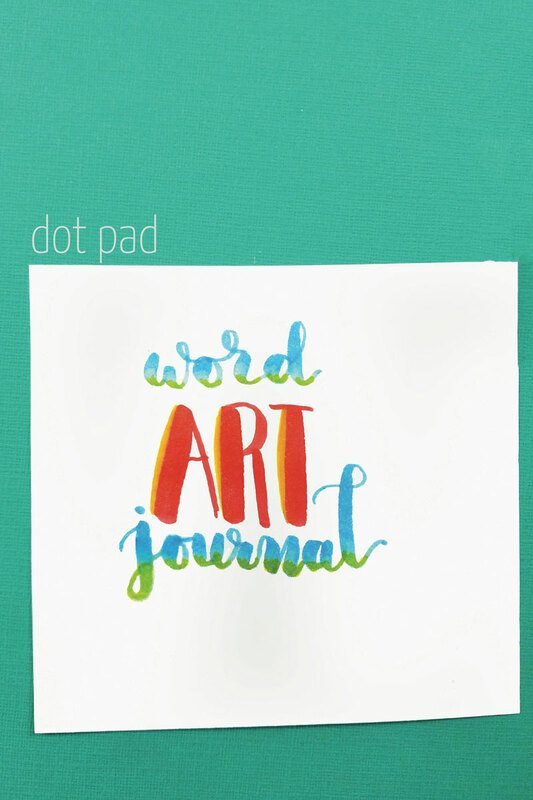 Dot pads contain faint dot grids and are most commonly used for bullet journals – but also make great practice books for brush lettering when you want a guide but not an intrusive one. I’ve personally been keeping an “Almost Daily Word Art Diary” where I try to make a point of practicing daily – without the rigidity. The idea is to mark down my thoughts for the day, a quote on my mind, a single word, or anything that fits, and to make word art with it – whether it’s brush lettering or otherwise. I hope to someday dedicate a post to sharing all about this, but meanwhile, I designed a journal special for this purpose. I started off with a Moleskine, but wanted something with a faint guide, so I made this dot pad special for this purpose. I’m waiting for mine to arrive in the mail! 📣I can scream the words "self-care" until I'm blue in the face. I can tack it on the fridge, write it on my hands, put I sticky note inside my glasses. 🙉But somehow, when things get stressful, it's the first thing that goes. Why? Why am I like this? Why are other moms like this? Why was breakfast today coffee, lunch leftover Mac 'n cheese, and supper the dessert I was prepping for the weekend? 😴I've learned so much about self care this year. I've learned to care for my mental health. I've gone through a rigorous routine of CBT for insomnia to get my circadian rhythm back on track. 🌯But I have so much more to learn in the food department, in the self-forgiveness department, and in the stopping to breathe department. I'm improving but I have a loooooonnnggg way to go. Who's going to join me on this journey? 🖋️My daily lettering diary has been a great exercise! I do it in a @moleskine notebook. This page was done with @pentelofamerica fude sign pens (a MUST for beginners) and @tombowusa dual tip brush pens. 👓Stay tuned for my brush lettering 101 series coming soon!!! This brush lettering book due includes a guide that teaches techniques and a separate practice pad. While I did NOT love the technique book, I absolutely loved the practice pad. It includes pages that allow you to copy the strokes, as well as blank pages with faint lines, and pages with existing borders and embellishments so that you can create your own art even if you’re not artsy. You can also get free printable brush lettering practice sheets that I designed special for this series! Want to take your brush skills a step further and learn supplementary skills to create real art? Try these cool books! 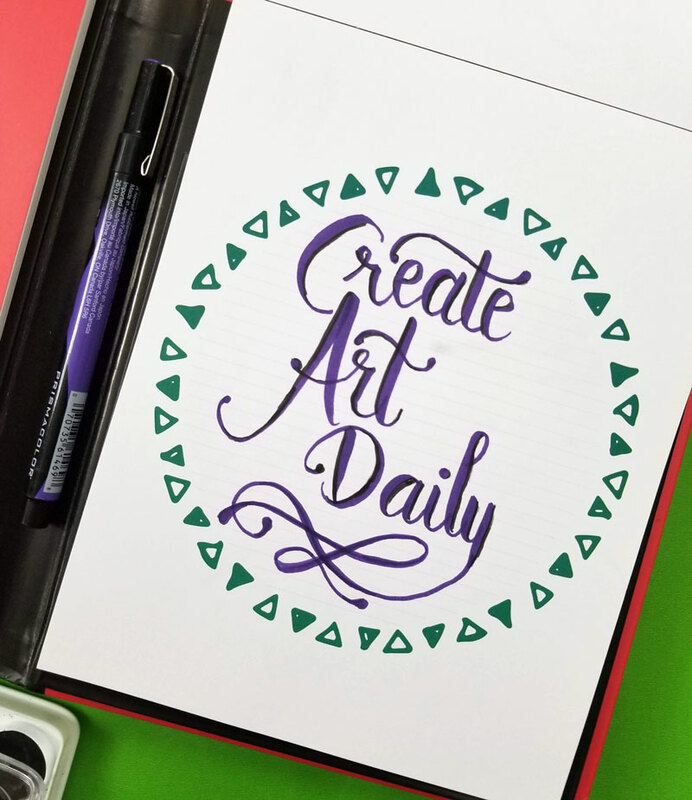 Whether you’re lettering to create gift tags, bullet journals, or just for fun, learn how to make simple brush pen illustrations along with it. 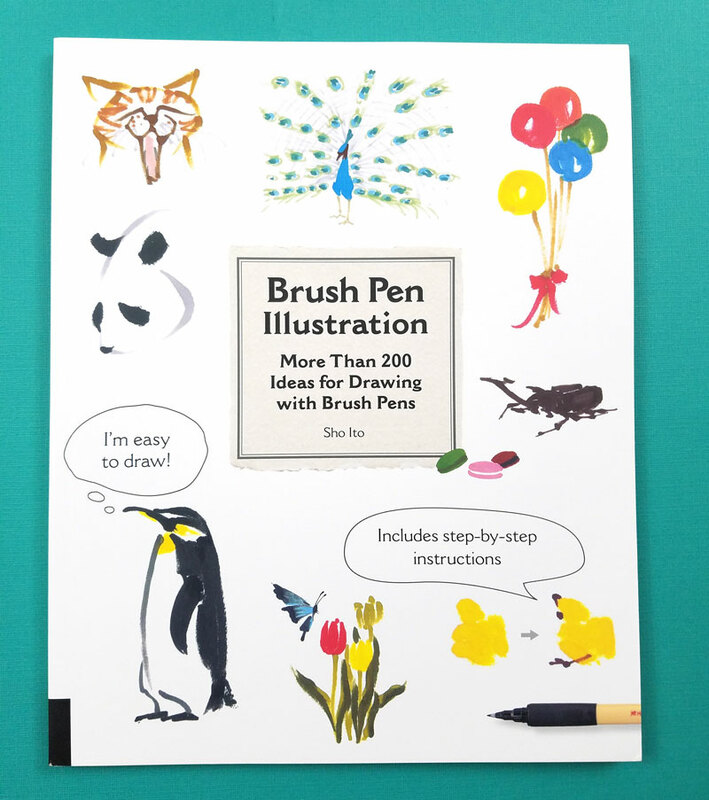 This book takes you through specific drawings, but when you’re done, you’ll have gotten the feel for turning simple brush strokes into pretty embellishments for your brush lettering projects. Want to expand on the watercolor angle of things? 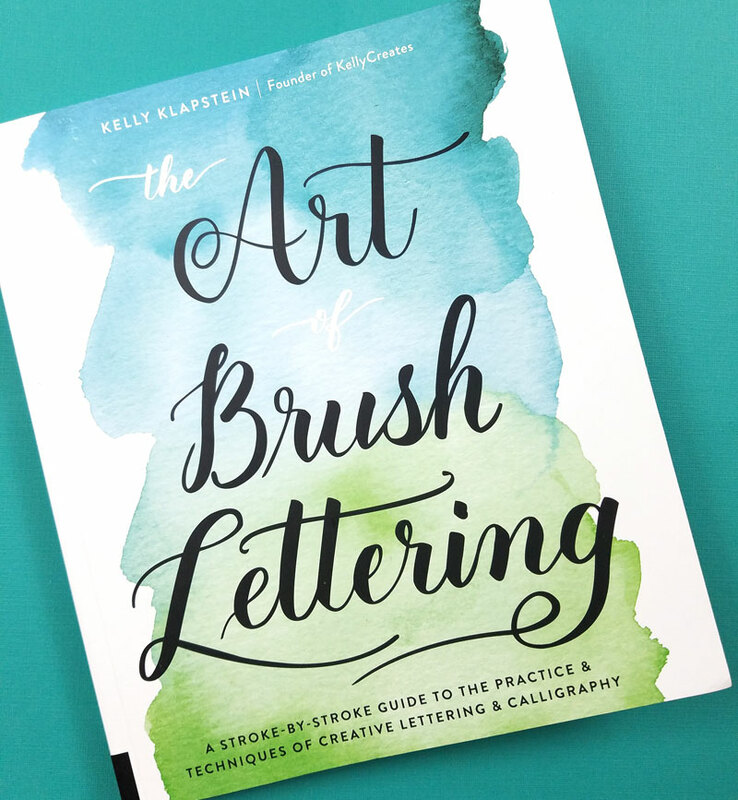 This book is a perfect way to apply some watercolor techniques to your brush lettering skills. 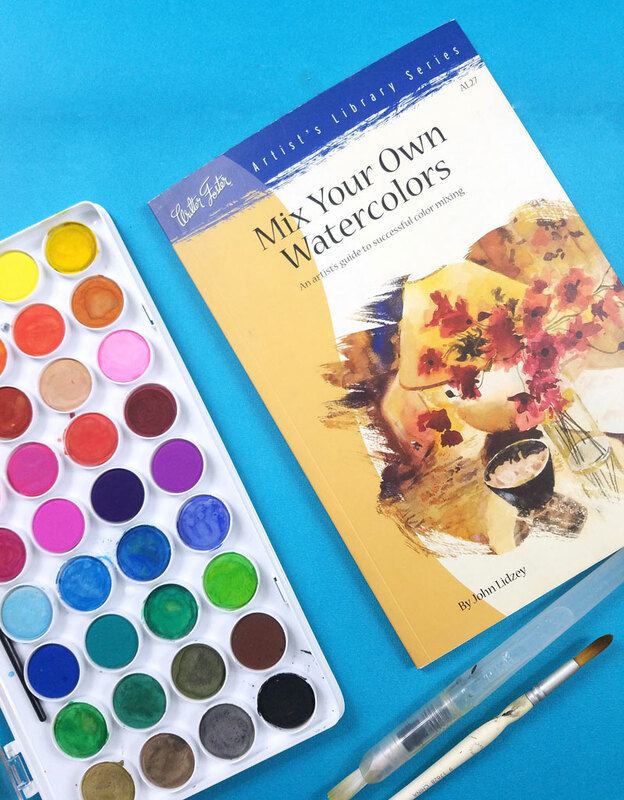 It teaches you the basics of mixing up watercolors – so you’ll understand how to get that cool ombre that’s all over Instagram! What are your favorite brush lettering books? Which tips do you have to offer beginners? Comment below! Crafts for Adults, Crafts for Teens, Crafts for tweens, Learn a new skill, Paper Crafts. Bookmark. No problem, Kelly, I really enjoyed it! Thanks for stopping by!